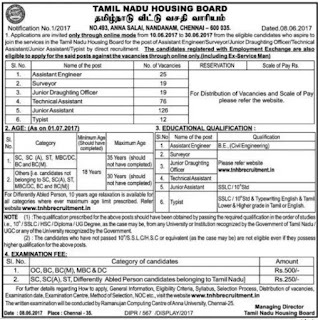 TNHB Junior Assistant Old Solved Question Papers and Syllabus in the Tamil Language – Tamil Nadu Housing Board (TNHB) has recently issued the latest recruitment to fill up 126 Posts. Candidates who are interested and completed Diploma they can apply online mode by visiting the official site of TNHB before last date. 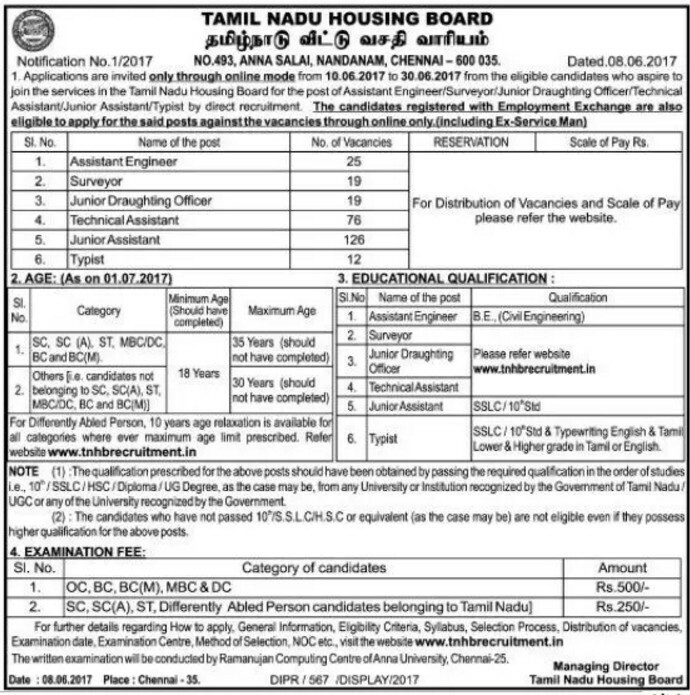 Applicants also check other details related TNHB Junior Assistant Notification 2017 like how to apply, selection process, educational eligibility, Junior Assistant Solved Question papers, Old Question Papers of TNHB JA, Salary of TNHB Junior Assistant and more info is given below. The selection method of TNHB Junior Assistant is scoring in written exam, so candidates must and should need to check previous question papers of Junior Assistant, question paper pattern, syllabus in Tamil, study material, PDF Books to get a high score in the written exam. Below you can download TNHB Junior Assistant Model/ Sample papers.